Australians like to do things big. That’s probably why they have Great Roads around here. 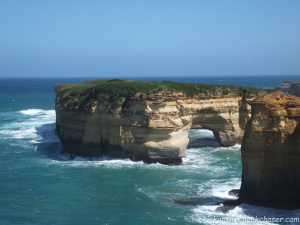 Such as the Great Ocean Road and the Great Central Road. And there might be more, but these are the ones I’ve traveled along. 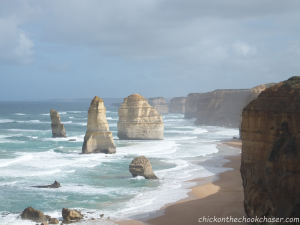 Having lived in Melbourne for a year, I’d been down the Great Ocean Road before. I can tell you, it’s a beautiful road and it deserves its name Great Ocean Road. 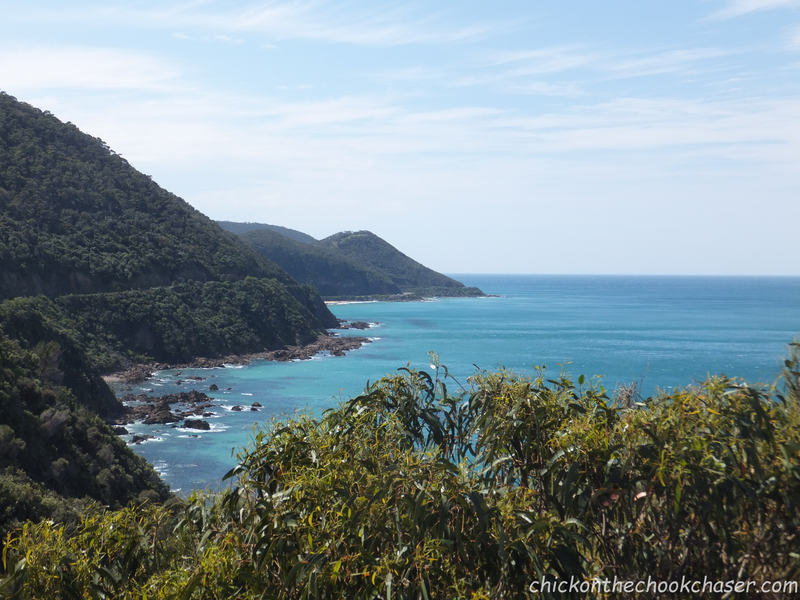 But once you do it on a bike it is better renamed to Freaking Awesome Ocean Road! There are nice bends, great zig zaggy bits, amazing sea views and koalas. It makes incredible gopro-footage too. 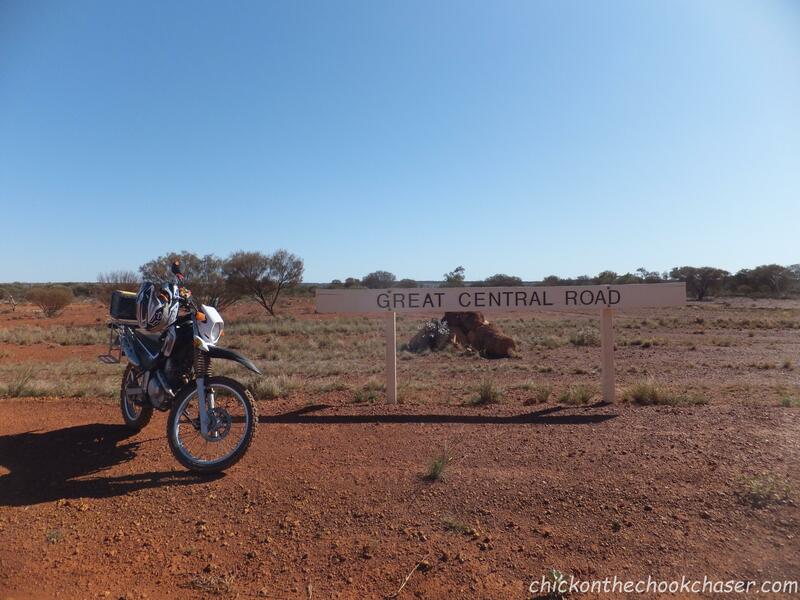 This road should be high on the list of any motorbike traveller! The Great Central Road is a completely different story all together. It was an amazing experience but, for a start, it’s unsealed, so it’s gravel, roughly 1100 km of it. It’s not the worst gravel although you will come past the occasional horribly sandy corrugated bit. Also, it goes through Aboriginal land, there is nothing there apart from the occasional community and service station. But these all are about 200km apart. You are literally in the middle of the dessert, the middle of nowhere, by yourself. For this part of the trip I was lucky to have Lisette with me. She happily drove her four wheel drive behind me while I was struggling to keep the chook chaser upright. Also, while my eyes were glued to the 20 cm wide track I was trying to keep the bike in, Lisette spotted some camels I would have ridden straight past. They are pretty impressive animals. Even more so when they decide to cross the road right in front of you, as some of them did the next day. 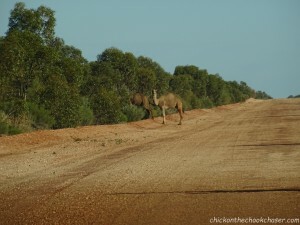 Apart from camels we also saw dingos, massive eagles and of course the all Australian kangaroos. We did the entire road in 4 days. Four days of dust and dirt and not showering. 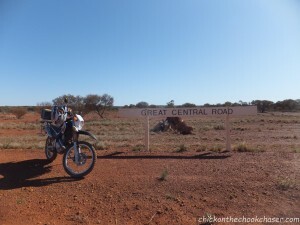 It was here where we first started using the term outback-toilet, for having to go when there are… well… no facilities to go. And where we learned the true meaning of bull dust. The Great Central Road truly is travel from another level! Thanks Lisette for the photos!